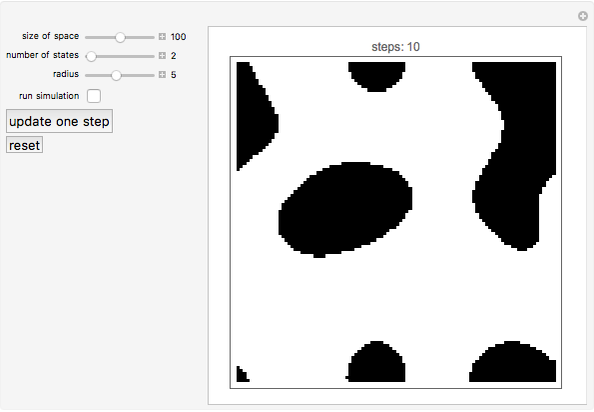 This Demonstration simulates the dynamics of cellular automata with the local "majority" rule. Each cell takes one of the finite discrete states and simultaneously turns to a state that is most common within its local neighborhood. Behavior generally observed in this model is the formation of a patchy pattern that coarsens over time, until the boundaries between areas of different states become straight enough. 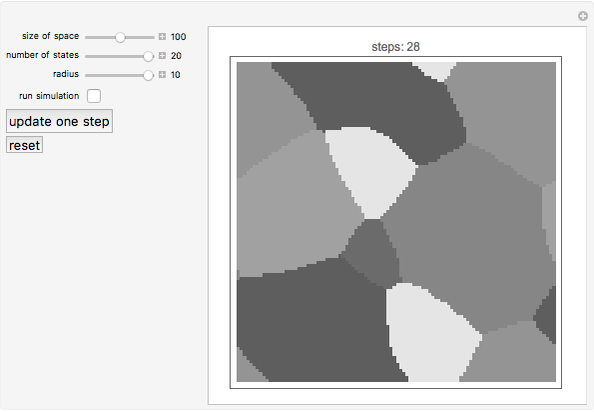 You can change the number of states and the radius of the neighborhoods to see different patterns emerge. 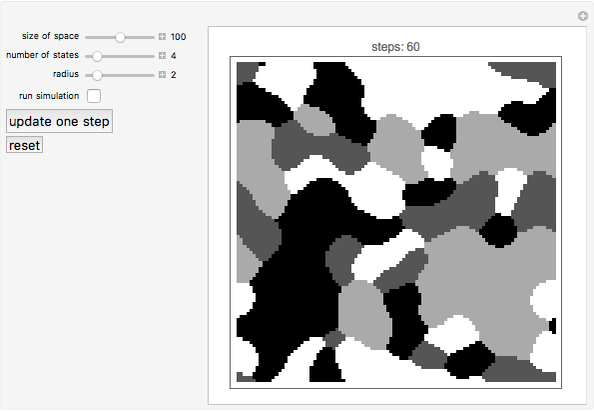 Hiroki Sayama "Cellular Automata with Majority Rule"